Today we had our first ever Grandparents Day in the school. Fr. Heinhold said mass for our Grandparents and our 2nd-4th class children. 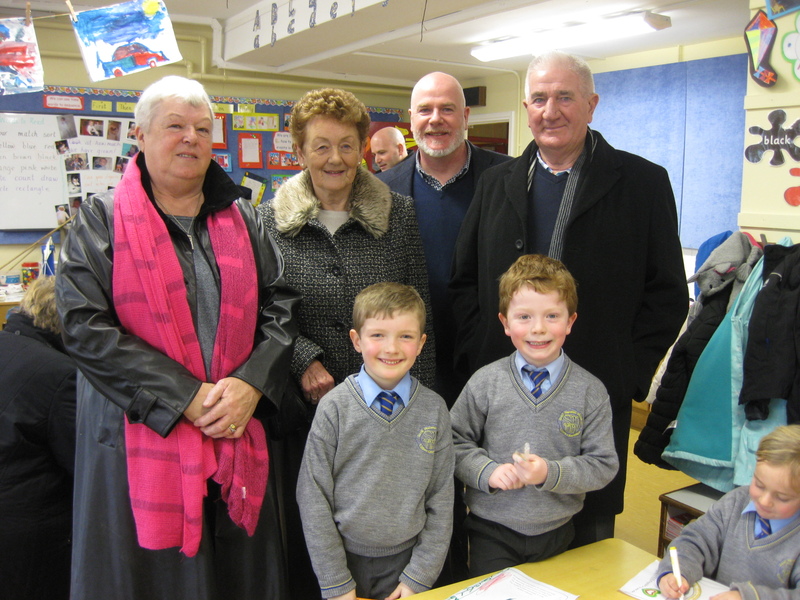 Then our Grandparents were invited into our school to see our classrooms and meet our teachers and staff. They were also treated to tea and cakes from our Parents’ Association. It was a great day enjoyed by all! A huge thank you to our wonderful Parents’ Association, who spent a full day here with us preparing and catering for our Grandparents. We would be lost without them! A special thank you to Fr. Heinhold for his co-operation in organising mass for us. Finally, a huge thank you to Ms. O’Connor and Ms. O’Brien. They have worked so hard in preparation for today, and that hard work was rewarded with a fantastic day for all today! We have added pictures in our Gallery and there are more to be added soon. School Self-Evaluation has been taking place in the area of Literacy with a focus on Oral Language. Our School Self-Evaluation Report 2014-15 is now available to view on the website. You will find it under the School Info tab at the top of this page. Today the Lifetime Labs were in our school with their Maths Workshops. 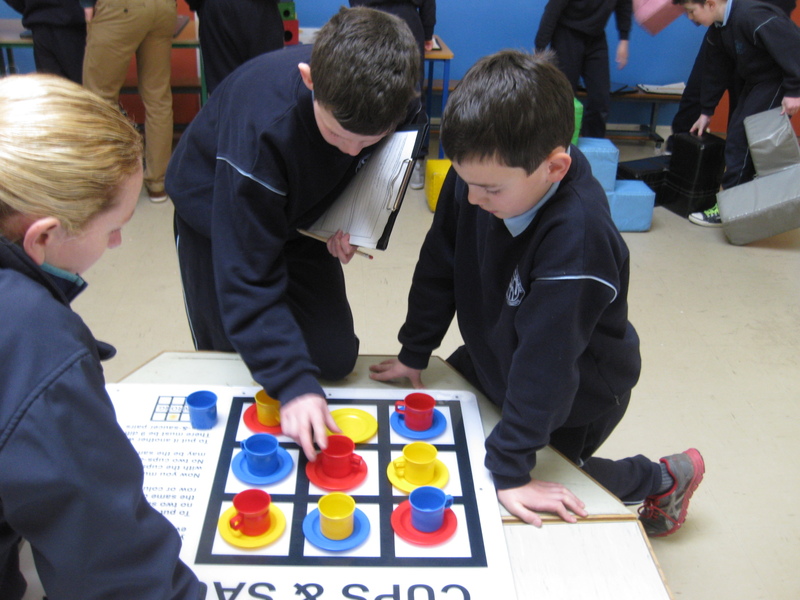 The boys and girls from 3rd-6th classes spent an hour each in the workshop, taking part in lots of different games and puzzles. We have lots of pictures for you to look at in our Gallery. 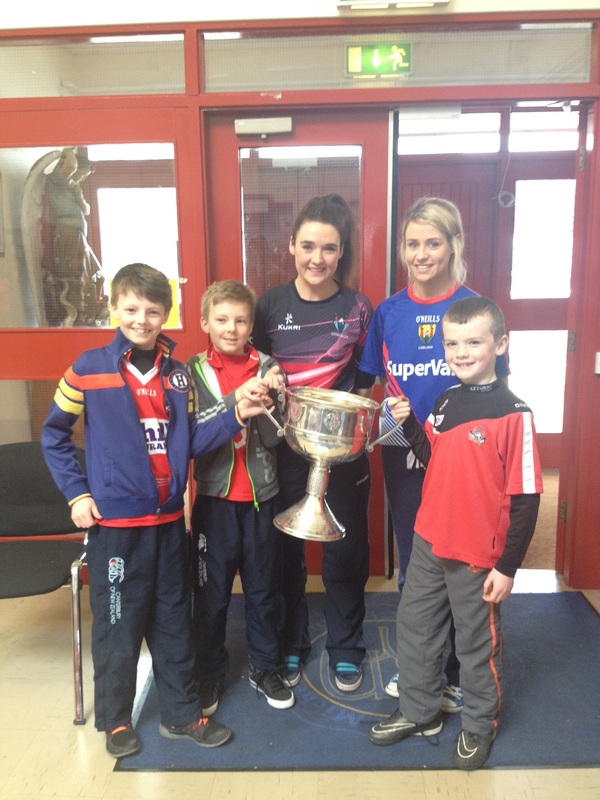 On Tuesday 15th February, Niamh Ni Chaoimh and Orla Finn from the Cork Ladies Football team, paid us a visit with the Brendan Martin Cup following their All-Ireland win in 2014. The boys and girl were dressed in red and showed support to the girls. We also celebrated the success of the White’s Cross underage teams who brought their recently won trophies to show us. A big thank you to Imelda and all the team at White’s Cross GAA Club for organising the visit. Have a look in our Gallery for more pictures. 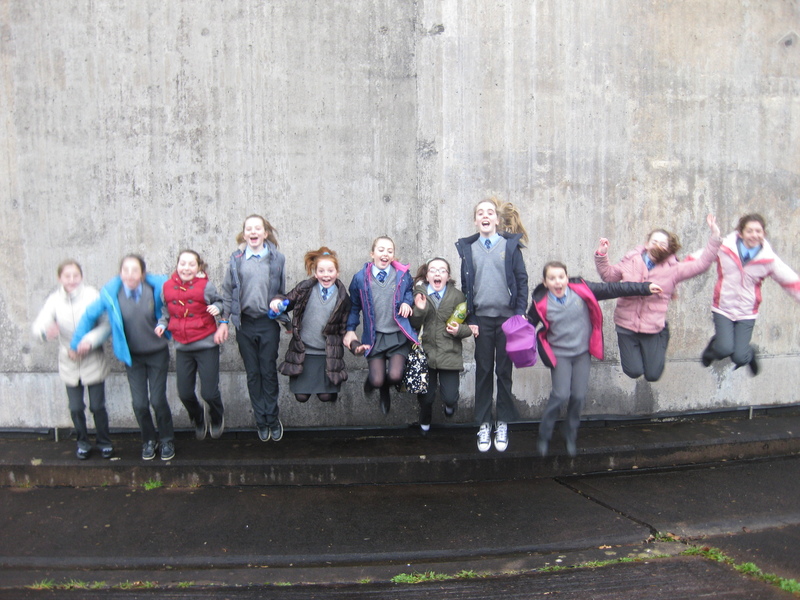 On Thursday 12th February, Mr. Scanlon’s 5th class, along with members of our Green School Committee travelled to the Glashaboy Water Works. They had a really enjoyable time and learned a lot about how the homes in our locality are supplied with their water. We would really like to thank Fergal Manley for organising this trip for us. You can see lots more pictures on Mr. Scanlon’s class page from the drop-down menu above. 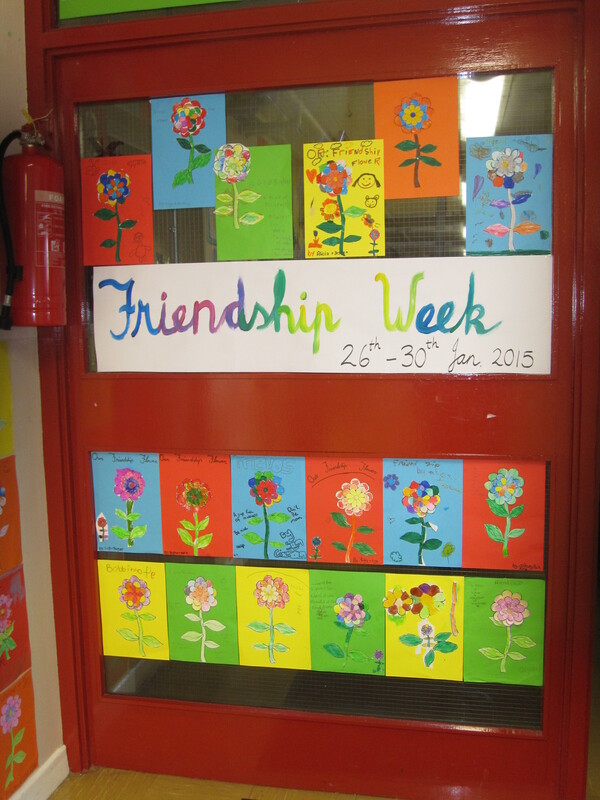 Have a look at the link below to see all that happened in our school during Friendship week 2015. Today is safer internet day-please visit http://www.saferinternetday.ie/ for further information. Safer Internet Day is an EU wide initiative to promote a safer internet for all users, especially young people. It is promoted in Ireland by the PDST Technology in Education and Webwise, and will be celebrated in Ireland on Tuesday 10th February 2015. 2015 will be the twelfth edition of the event. This year’s call to action is, “Let’s Create a Better internet Together” and the hashtags are #SID2015 and #Up2Us. Check out the recipe for Nice-cream – the healthy alternative to ice-cream. 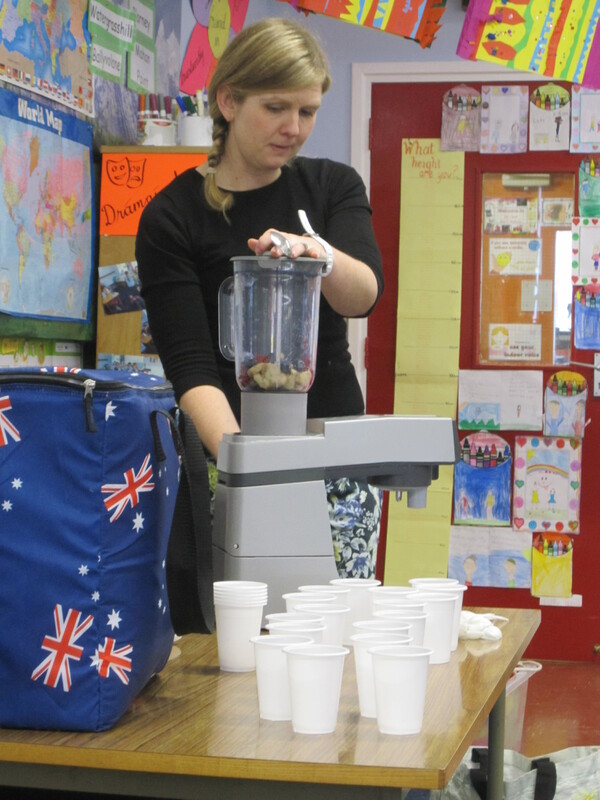 Alison from Project Spraoi demonstrated to all classes today how to make Nice-cream. Today we were extremely lucky to be visited by CIT and the Tyndall Institute for a Science Workshop. 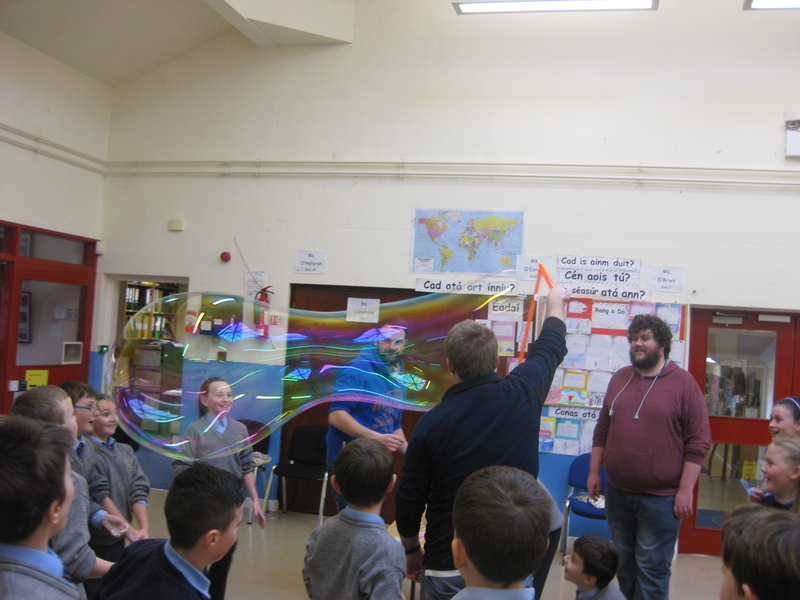 Every child in the school took part in a Bubble workshop in our hall, and Rang1-6 went to the Community Hall for a Laser Workshop. We learned a lot about science and had great fun doing so! Have a look in our Gallery for lots of pictures! Our infant classes have been really busy in school recently. 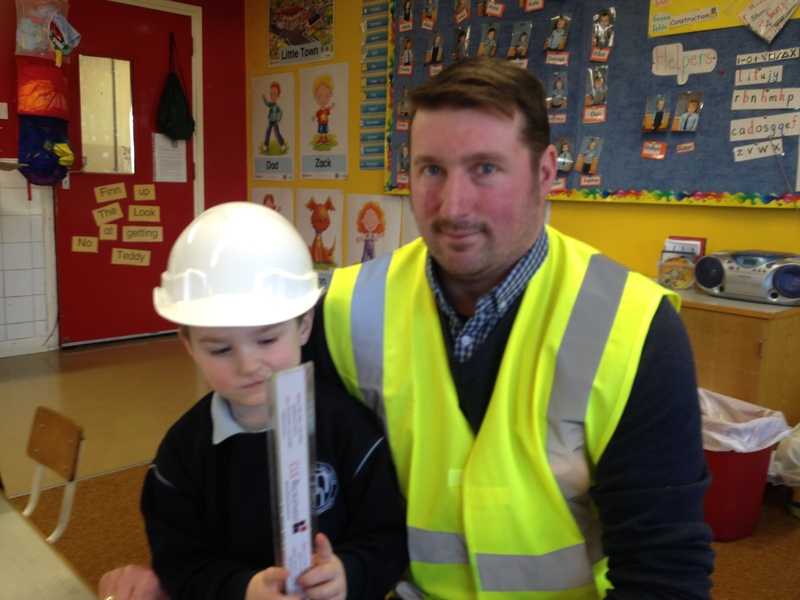 Last week they celebrated Friendship Week and recently had a visit from a builder as part of Aistear. Have a look at Ms. Flanagan, Mrs. Murphy, and Ms. Carney’s pages to see lots of photos of their fun activities.